This is the second time in the few months since I started this project that I am changing the pace and the format. But it's a work in progress and that's how it should be. 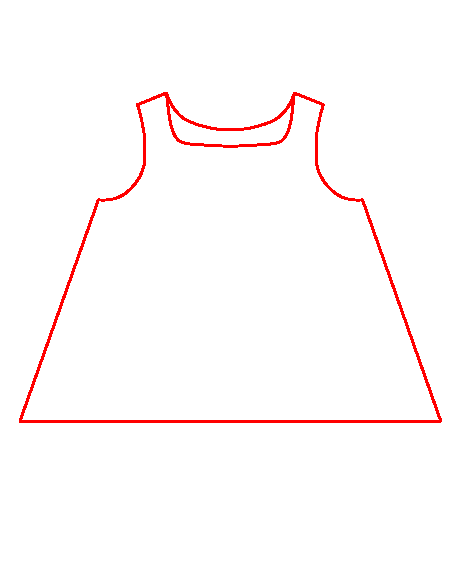 So, this is what we are going to be doing in the next few weeks (or until I change things around again :-) : I have drafted a pattern, or maybe I should call it a block, for a very basic, slightly A-line top, that can be made into numerous designs. I will use this block to draft several new patterns and will be giving you step by step instructions on how to do it. In the picture above you can see the outline of the "block" as well as the first three designs I will show how to draft. 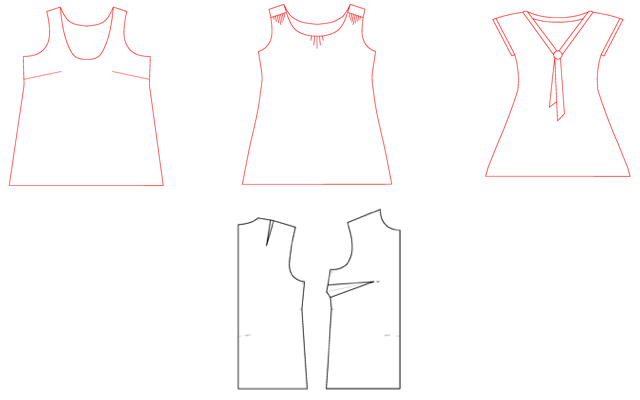 If you have visited here before, you might recognize the first design, which I - ever so eloquently - called "the basic sleeveless top" (I think it is about time to give it a proper name, what do you think? Suggestions are welcome). That will be the first order of business this coming week. Why the change? 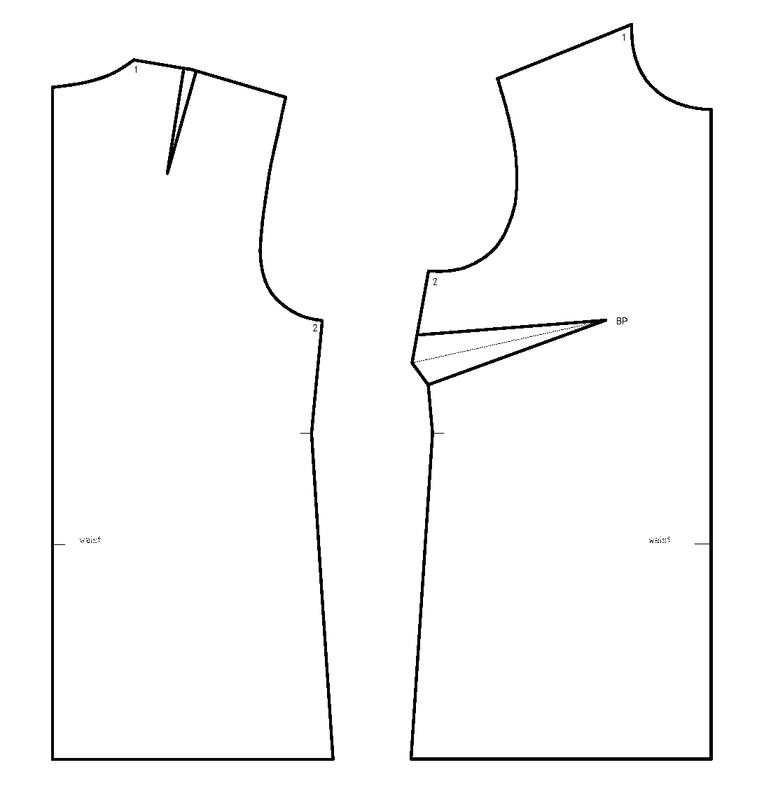 As I was drafting patterns for the previous challenges, I noticed I was repeating some steps: move this dart here by this much, take in the side seam by that much... I always started from the basic block, as this was the idea behind this project, but I started thinking about how to skip these steps. So I created this "block" which includes the changes from the basic block that are common to many of the designs we will work on here. 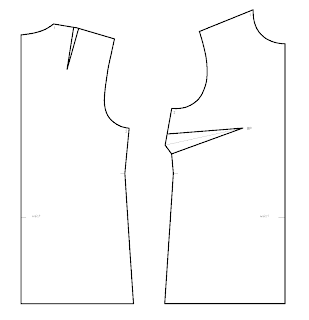 The changes include slightly modified arm opening, shaped sideseam and a bust dart moved to the underarm position. Oh, yes, and the added length. You might notice that the neck opening remains unchanged - we will change it as necessary for each pattern. So why am I doing this? My ultimate goal is, not only to teach myself drafting, but also to come up with a set of "basic patterns" that can be easily changed into many different designs. OK, that said... let's get down to the most exciting part. 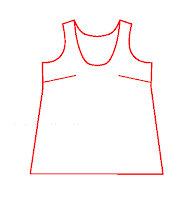 I have drafted this "block" in 4 sizes : 36 to 42 (based on Burda sizes, see size chart) and this will be available for download, free!!! This is what the block looks like. As with the previous free patterns I posted, it is a pdf ebook with the total of 12 pages with NO instructions. Seam allowances are NOT included! Before printing the whole file, print only page 1 and measure the square – it should be 5 x 5 cm. Make sure you are printing at 100% scale, and that “borderless” is not checked. If you are using a Mac, use Adobe, Preview did not work for me (consistently scaled up the printout, I could never get 100% scaling). where can i find the pattern?? Oops! I just recently changed my main blog location, so the link is now broken. Sorry about that. Give me a couple of days to figure it out! Hi Nina, can you please update the link for the pattern? Thanks. I was wondering if you can provide the new link. I would love to have the pattern and get started. Thank you! How can I download the pattern? Thank You! Sad - still no pattern! 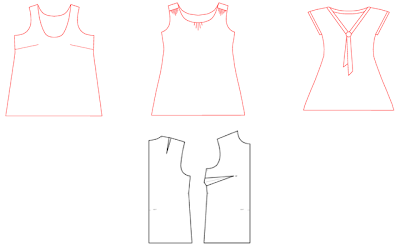 If anyone is still looking for this pattern you can find it here: http://www.burdastyle.com/projects/basic-block-1-ulla-sleeveless-top There's a download option on the right hand side of the page. You'll need an account but otherwise there's no issue.